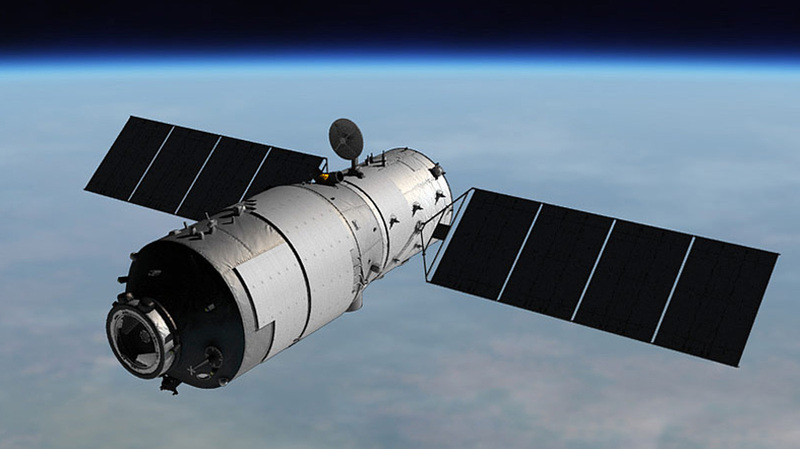 ABU DHABI, 18th February, 2018 (WAM) -- The UAE Space Agency and the International Astronomical Centre, IAC, have announced a joint campaign to monitor China's Tiangong-1 Space Laboratory as it falls back to Earth. 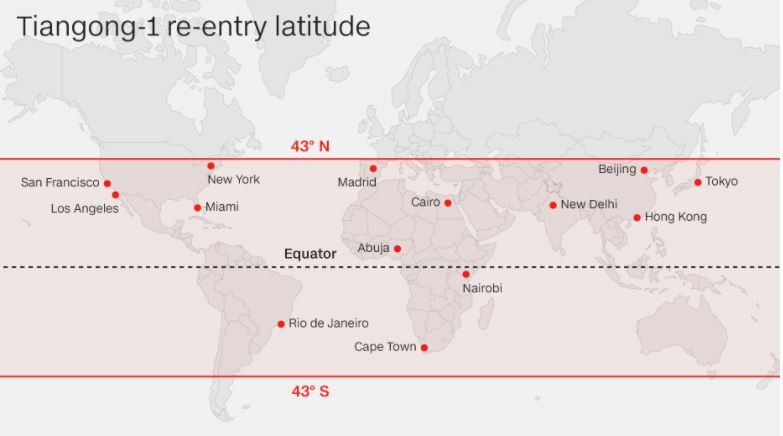 The fall is expected to take place in mid-March in areas between 43 degrees north and south latitude, which include most of the Arab region. The UAE Space Agency confirmed that the lab will be vaporised upon re-entry, prior to reaching the ground. The uncontrolled fall will pose no danger to Earth and will not impact any of the populated areas. Although there is a chance some debris may reach the ground, it will be falling into the sea and will not impact lives or human activities. The Lab was launched late September 2011, with the purpose of being used in a variety of experiments, however the facility experienced communication failure in 2016. The Lab is equipped with two solar panels, weighs 8.5 tons, is 10.5 metres long and is 3.3 metres wide in diameter. Dr. Mohammed Nasser Al Ahbabi, Director-General of the UAE Space Agency, said, "The Earth witnesses the fall of many objects, including satellites and other debris, on a daily basis. These objects do not pose a threat to the planet or its population due to their small size or the speed at which they are vaporised in the Earth’s atmosphere. Those that make it through are often scattered over vast areas in the form of very small stones." "The UAE is well equipped and experienced with monitoring and determining the coordinates of space objects, meteors and meteorites. Many of our capabilities stem the UAE Meteor Monitoring and Filming Network, which was launched two years ago to support scientific research. Today, the network successfully provides reports and studies on meteor traffic over the UAE," he added. The network was launched as a joint venture between the UAE Space Agency and the IAC, which consists of three different stations distributed throughout the UAE to record astronomical phenomena in the sky. Each station has astronomical cameras directed towards the sky that automatically start recording once a meteor is detected, which may be part of a shower or a piece of space debris. Once the meteor is detected by more than one station, its path is calculated so that its source can be determined. Three years ago, the IAC set up an international programme involving space enthusiasts from around the world to monitor the fall of satellites on Earth. Four experts, including the IAC Director, a specialist from the National Aeronautics and Space Administration, NASA, on behalf of the United States, and two other specialist experts from Canada, supervise the programme.